Allan Pinkerton immigrated from Scotland in 1842 and settled in Chicago. Though starting out as a barrel maker, he gain public attention early on when he accidentally uncovered a gang of counterfeiters. This led to his appointment as a deputy sheriff and then as a special agent for the U. S. Post Office, again gaining exposure for catching criminals. Then, around 1850 he founded the Pinkerton National Detective Agency, using the eye that never sleeps as his symbol. Over time, the eye symbol has been descriptive of independent detectives, being called "private eyes." 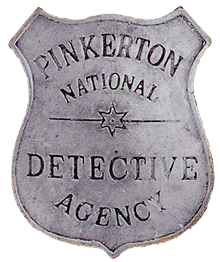 The Pinkerton National Detective Agency provided security guards to businesses. While working with the Philadelphia, Wilmington & Baltimore Railroad, he became widely known for uncovering a plot to assassinate President-elect Lincoln. Lincoln was on his way to Washington to get sworn in on March 4th 1861. 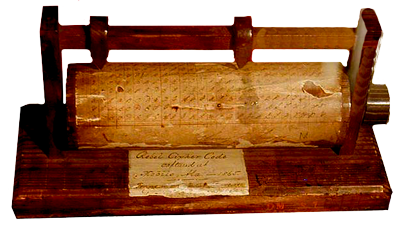 South Carolina had already voted to secede when Lincoln was elected and rumors of assassination were prevalent. Pinkerton had uncovered the plot using his own men and privately met with Lincoln in a Chicago hotel to persuade him to change his schedule. Federal agents then corroborated the plot, so in Philadelphia, Lincoln disembarked the train and proceeded to Washington in another train arranged for by Pinkerton. It is said that Lincoln regretted coming into Washington through the back door; however, Pinkerton had made an impression. Allan Pinkerton, a friend of General George B. McClellan before the war, was hired subsequently by General McClellan to set up a secret service agency for the Army of the Potomac. He was even hired as a bodyguard for the president. 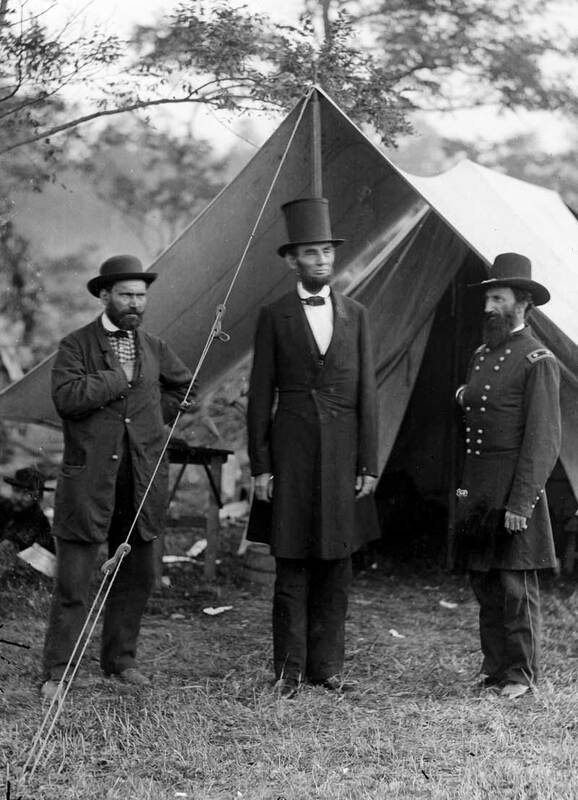 Allan Pinkerton (left), then Chief of the Secret Service Department, is shown in the photo standing with President Abraham Lincoln and Major General John A. McClernand near Antietam, Maryland, October 3, 1862. Though Pinkerton was a civilian, he took on the military cover name, Major E. J. Allan. He employed a small army of agents who worked primarily counter-intelligence, undercover agents posing as Confederate Civil War soldiers or sympathizers. This was characteristic of his espionage techniques. On one hand, his spying activities were helpful, like exposing woman spy Rose Greenhow and her spy ring; yet on the other hand, some information he supplied was wrong, such as providing inflated troop strengths and dispositions to General Mc Clellan, which hindered the general's battle strategy. 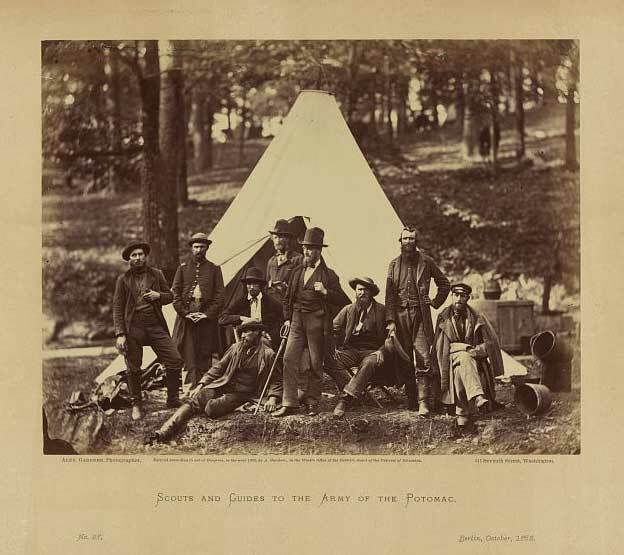 When President Lincoln dismissed General McClellan after the Battle of Antietam in 1862, Pinkerton also left public service to further develop his private detective agency. Pinkerton returned to Chicago basking in the limelight from his connections in Washington, D.C. His detectives gained attention in the unsuccessful pursuit of the era's most notorious outlaws, like Jesse James and Butch Cassidy. When Pinkerton passed away in 1884, his sons took over the agency, which had become known for using their bodyguards for strikebreaking union workers in the Pittsburgh steel mills, particularly in 1892 at Homestead Mill, which belonged to Andrew Carnegie. This disastrous encounter between workers and management led to laws being enacted which banned the use of outside guards during labor disputes.